We hiked from Kennicott to the toe of the Root Glaicer (which feeds into the Kennicott Glacier). In the background is Mt. 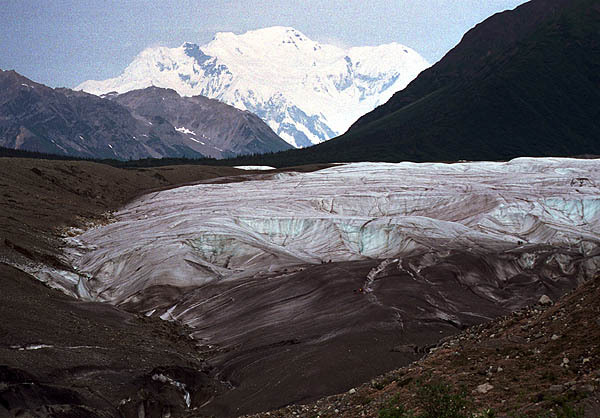 Blackburn, part of the Wrangell Mountains and at 16,390' is one of Alaska's highest peaks.